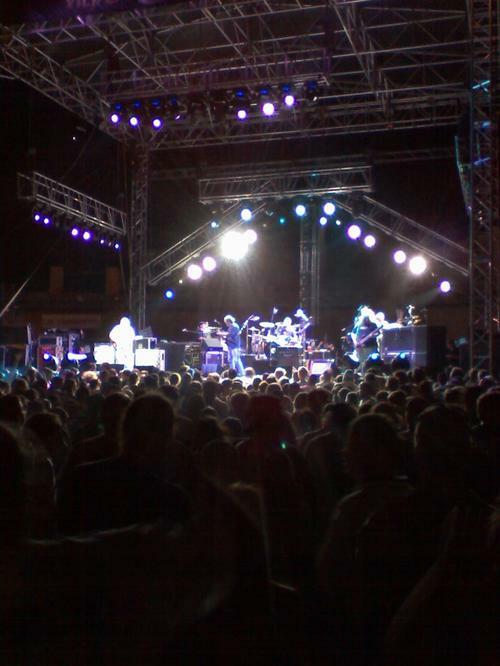 July started with a bang this year, with Widespread Panic bringing its jambased rock and roll to the Viejas Concerts in the Park venue in San Diego. The weather is fantastic, a hot dry evening, with the sun setting behind the stage. Shortly after the sun set, the band took the stage and the show began. 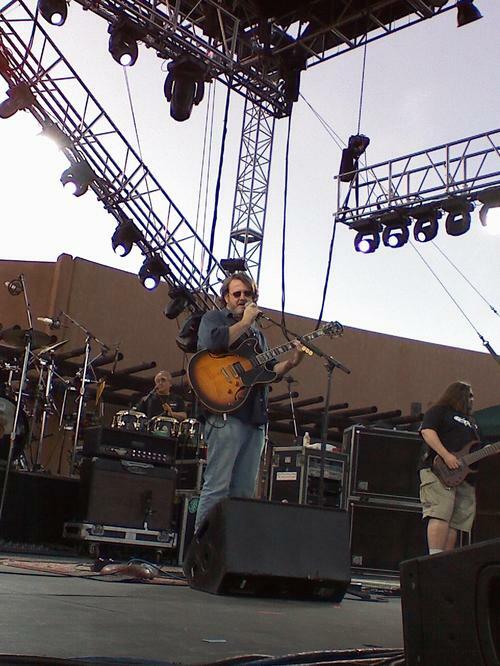 While Widespread Panic has been around for 21 years, and have never repeated a set list, they suffered a huge loss in 2002. 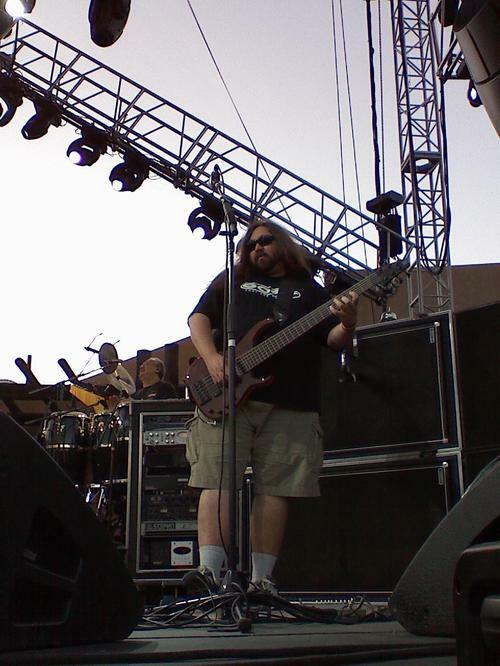 Widespread Panic lost lead guitar player Michael Houser to cancer. 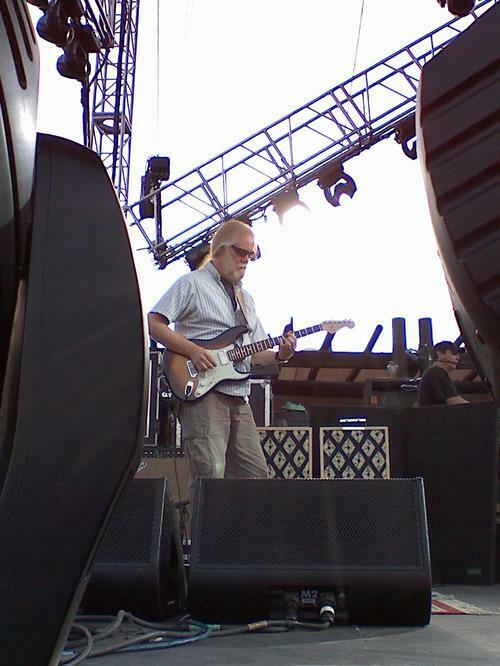 At the show tonight, I finally got to see the “new” lead guitar player, Jimmy Herring. I have been photographing Jimmy for about ten years now, from Jazz is Dead all the way to the Dead. It was good to see Jimmy, John Bell, Dave Schools, John Hermann, Todd Nance and Domingo S. Ortiz blaze through a great two sets of music. Very nice shot of Jimmy. Yeah, not half bad for a phone cam! Sweet shots Alan! keep up the good work! Great Pics Alan!!! What a fun Show!! Sweet shots bro! Nice work with a phone cam. What's your next show? Nice work as always Alan. alan - great pics - we need one of those camera phones! i can't believe how clear they are. yah- what's the next show? Wow... I can't believe you shot this with a phone! Just shows the talent is in the photographer not the camara. It really is amazing that those are from a cell phone! Fantastico pictures , Senor Hess! Was good to see some sights from Widespread again, as I had not seen them since 96. Great pictures you took with that phone. Great pics! I can't believe that you used a phone camera!! Unbelievably clear photos with a phone! From all your work we've known without a doubt that you are an amazing photographer, now we're learning you're an amazing writer/critic too! What can't you do?